For anyone interested in independent animation, this film is worth buying! Jeff Lew is amazing. This guy made a full feature, 85 minute animated action film all by himself. He literally made this film all…by…himself! For that alone, you have to check this movie out. The blu-ray is worth buying just for extras alone. In the extras, there is a full in-depth making of the film on how to actually make an affordable animated film all by oneself. And he goes into great detail on what computer programs he used to make the film and how much time to realistically put aside to actually make a film project on their own. And it ain’t easy. While doing side jobs for MATRIX RELOADED and TRANSFORMERS 2, Jeff Lew spent all his time making KILLER BEAN FOREVER for around five years. KILLER BEAN FOREVER is a simple yet beautifully animated action film starring coffee beans. It has some comedy in it (the mafia boss’ name is Cappuccino), but it’s played as a serious film. And it’s definitely not for kids. It’s totally violent, no blood, and sprinkled with some profanity here and there. 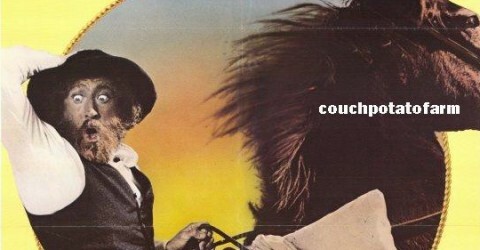 If this film was rated, it probably would get a PG-13 rating. 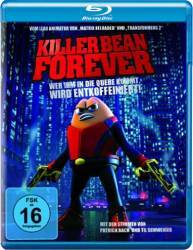 Killer Bean is a contract killer working for a secret agency – he has to deal with crooks, mafia, cops, martial arts masters. It’s a very cliched story, but totally entertaining with amazingly animated gun and martial arts action. KILLER BEAN FOREVER reminded me of a violent Pixar-style Toy Story-style animated film directed by Robert Rodriguez or John Woo. The blu-ray video and audio quality is reference quality. Both the video and audio are perfect! I haven’t been this impressed by an independent animated film since Alexander Woo’s RED STEELE: NAZI SMASHER. And that was just a short incomplete 10 minute flick. KILLER BEAN FOREVER is a complete feature-length film! I highly recommend the film and this blu-ray! There is also a NTSC Region 1 DVD that you can order from Jeff Lew’s website which I did before I purchased the blu-ray, but the DVD was not playing well on my DVD player or blu-ray player. It’s basically an independently-made DVD so it’s bound to act fishy on some DVD players.